Benjamin R. Thompson, CPA - Harvey & Horowitz, P.C. 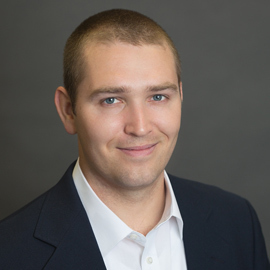 Ben has over a decade of experience serving a variety of clients in various industries, but specializes in serving manufacturing, construction, retail, & distribution companies. Ben also serves as the technical head of the Firm’s employee benefit plan audit group, as well as a member of the Connecticut Society of CPAs Employee Benefit Plan Special Interest Group. Ben resides in Cromwell, Connecticut, and received his Bachelor and Master of Science in Accounting from the University of Connecticut and is a member of the American Institute of Certified Public Accountants, Connecticut Society of Certified Public Accountants, and the Construction Financial Management Association.